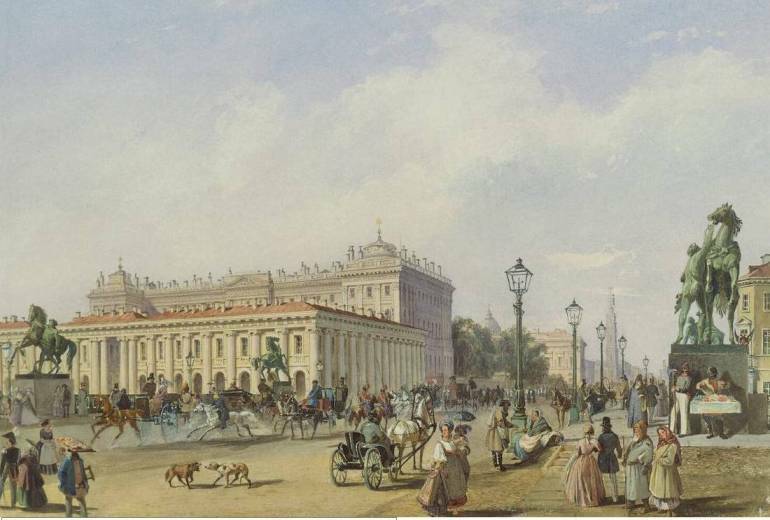 Painting by Ludwig Franz Karl Bohnstedt (1822-1885) The architect's training comes through in the precise, draftmen-like lines on the buildings, but with a warm touch for the street life that goes on in the foreground. He painted in St. Petersburg and in Italy, and in each has a different feel for the pace of life. His figures are very natural in their poses, and are believably in motion.